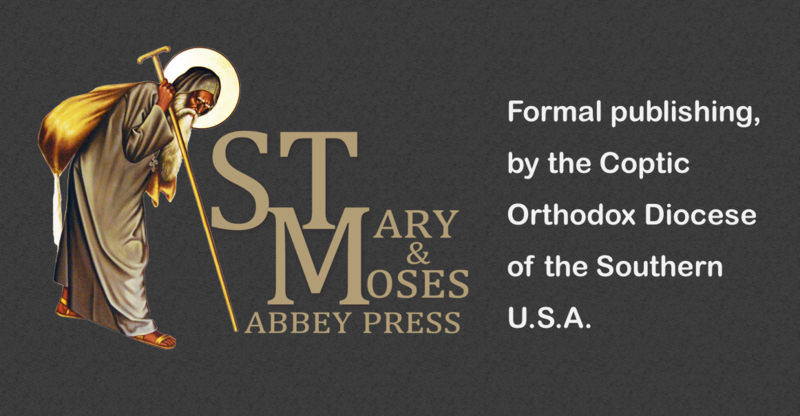 Announcing St. Mary & St. Moses Abbey Press: The publishing arm of the Coptic Orthodox Diocese of the Southern U.S.A.
We are excited to announce the establishment of St. Mary & St. Moses Abbey Press, a formal publishing company under the auspices of H.G. Bishop Youssef and the Coptic Orthodox Diocese of the Southern United States of America. Wait, I’ve already seen books under this publishing company name! You’re right. We have been publishing primarily works by His Grace Bishop Youssef, such as the Orthodox Christian Commentary Series. But we are expanding our goals and our scope. What is so special about this expanded effort? Glad you asked. In recent history, Coptic publishing has typically constituted small pockets of servants who find something of value to be published in a book, and the author is usually someone from among the clergy. There is typically no opportunity for lay authors to have their works considered. Moreover, books that have been produced leave much desired in terms of quality, and in regard to distribution and marketing. This publishing endeavor seeks to provide a formal approach to publishing. In the near future we will invite manuscript submissions from all authors, lay and clergy; there will be an editorial committee that reviews these works and determines what should be published given the resources available; then the publishing company will establish a contract with the author, after which the St. Mary & St. Moses Abbey Press (STM ABBEY PRESS for short, like our URL—stmabbeypress.com) will take the work and expend tremendous effort to produce a quality product, with the aim that it is on par with other well-established Orthodox Christian publishing companies. But the role of the press will not cease at simply producing a new work, but more so the press will continually engage in efforts to actively market the book and expand distribution opportunities. For more information on the difference between informal and formal publishing, and to learn more about our press, see our “About Us“ page. If you would like to volunteer to help, we invite you to visit our “Volunteer Opportunities“ page for more info. This is a lofty endeavor that will not succeed without the grace of God. May He help us grow and glorify Him. Please pray for us. 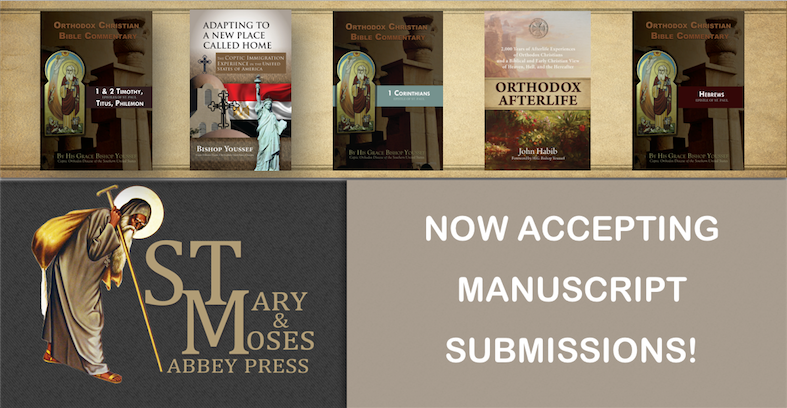 STM Abbey Press—Now accepting manuscripts submissions!